Is there a special couple in your life getting married? Isn’t it so exciting to be part of their journey and watch them start their lives together as husband and wife? It really is! If you are asked to be part of their special day- whether as part of the wedding party, or just as a guest, you want to make sure and get them a nice gift that they will be able to enjoy and get a lot of use out of. Wedding gifts can be hard to shop for – even if you are shopping off of a registry! You want to get the new couple something that they need, but also something that they will enjoy. It is also nice to consider something that they both can truly enjoy, not just one of them. So, what does that look like? Great question! Here are 10 great registry gifts that are perfect for newly married couples. The bride and the groom will both love these gifts and put them to great use as they start their wedded life together. Are you newly engaged? This list is perfect for you as well! Use it as inspiration when you start building your own wedding registry. They are all awesome gifts that you will use, and so will your soon to be spouse. It’s a win win! Most newlyweds look forward to traveling together, and a nice new luggage set is just what they need to set off on their honeymoon, and wherever else they plan on traveling to! 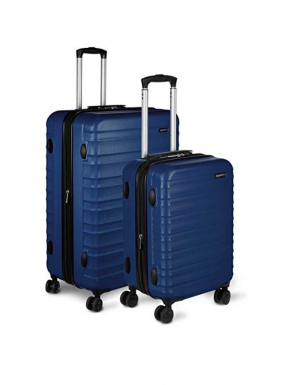 Getting them a nice complete set that includes both carry on sized luggage and larger suitcases ensure they will have something no matter the type of trip they take – from a month long trip across Europe, to a quick weekend getaway, they’ll have what they need to head out and see the world! A solid knife set is a gift that both the bride and groom will enjoy receiving as a gift. You might not think that having a nice set of knives is important- but as you start cooking together and hosting dinner parties, you’ll quickly realize how crucial it really is! 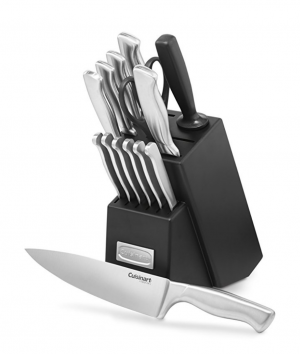 This set includes knives for cooking, as well as steak knives to use while eating. It also includes a solid pair of scissors, a sharpener, and they all come in a block that holds them all nicely! This is a great gift that any newly married couple would gladly add to their kitchen and use daily. There are plenty of kitchen related appliances that, let’s be honest, end up sitting around collecting dust. That isn’t the case with knives- they will be put to good use during every meal. These are a real necessity and a great gift. 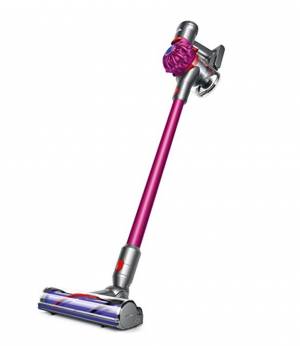 Trust us- on the surface it may seem like a vacuum makes for a boring gift, but not when it is a Dyson! This is an excellent vacuum that works well and is also incredibly well designed. This is a cordless model that makes vacuuming the entire house easier than ever. This is a great splurge item to get for a couple, and is certainly one that they will appreciate. Vacuuming is one of those boring necessities in life, but it can be made into a much nicer, easier task by having an awesome cleaner that almost makes vacuuming fun. Seriously! A newly married couple may not be able to afford a more expensive brand vacuum cleaner, so gifting them one is sure to be such a nice surprise, and a wonderful gift they will get a lot of great use out of. If you are in search of a more affordable, but equally useful, gift – you can’t go wrong with a wine opener! From cozy nights on the couch watching a movie, to hosting a dinner party, wine is almost always an important aspect of any evening! Don’t just get the newly married couple any wine opener- get them this cool electric wine bottle opener! Not only does it look cool and modern, it makes opening wine easier than ever before. Simply stick the opener on the wine, push the button, watch the cork rise up into the opener, and that’s it! Hit the reverse button to remove the cork. It couldn’t be easier! This is a great gift that the couple will soon come to realize they can’t live without! 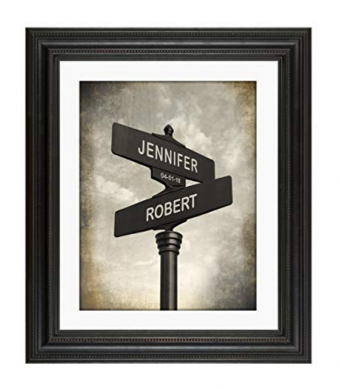 If you want to get the new couple a personalized gift that they can display in their new apartment or house, consider getting this awesome crossroads print made! With the road signs personalized to include both their names, this is a cool way to introduce some personalized artwork. If you don’t want to just have a photo of the couple framed, this is a way to do something a bit different, but that they will love just as much. Plenty of people think to get a picture framed, but most don’t consider unique pieces of art such as this one. Go for something a bit unique- the couple is sure to love it! Of course, most couples can agree that all mornings start exactly the same – you need to make some coffee! 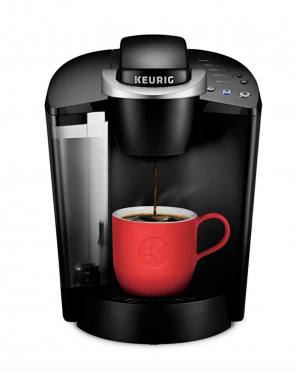 A nice single serve machine like this Keurig is the perfect gift that both the bride and groom will both equally enjoy. From weekend coffees sipped on at home, to on the go cups prepared during the week as you run out the door, this makes mornings go so much smoother. Who has time to wait for a whole pot to brew anymore? Make a cup quickly and be on your way! This is the perfect gift that any newly married couple will appreciate. 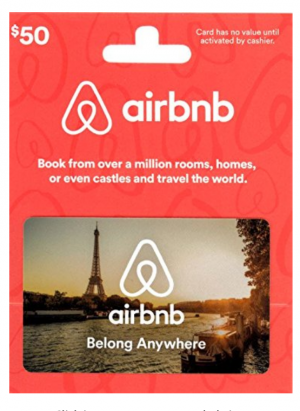 An Airbnb gift card is a great way to ‘force’ the newly married couple to prioritize spending time together, even if it is just a weekend away! This is another gift that a couple will get a lot of use out of, and is especially perfect for environmentally conscious couples who want to lessen their carbon footprint. 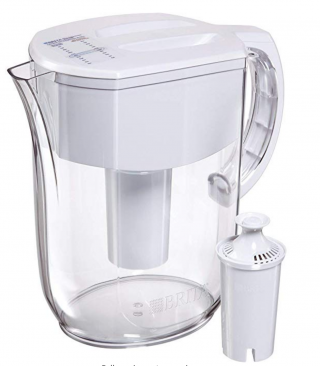 No more water bottles needed- just use this awesome Brita filter! This makes it easy to always have clean, cool water available, something that everyone can enjoy. Perfect for the couple to enjoy, as well as any friends and family that come over. This is also a great option for couples who do not have a lot of storage space at their place- there’s no longer a need to find space to store tons of bottled water, just rely on this filter! Make life easier and more fun by getting the newly married couple their own voice assistant. That’s right- it’s Alexa! 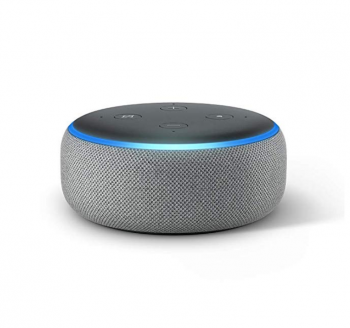 This isn’t just a great voice assistant, it is also a great speaker that can easily play your music and connect with plenty of streaming services like Spotify or Amazon Music. Listen to music, podcasts, the news, and so much more! These devices gain new capabilities all the time, making them a great gift that will continue to keep giving long after the couple first starts using it! They can also do more with it over time by connecting various things to it- including light switches, vacuums, and a lot more! The future is here now, and her name is Alexa! 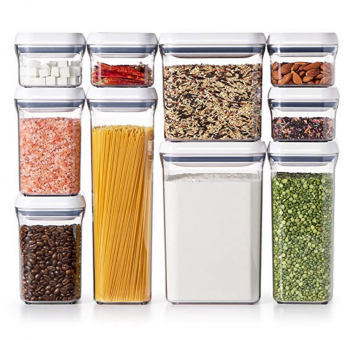 Finally, tupperware is one of those boring necessities in life, but these OXO Good Grips make food storage so much better! Their pop button design is truly the best- ensuring that food is airtight sealed, and making it so much easier to stack and store these containers anywhere- in the fridge, in cabinets, or even out on your counter! Their sleek design makes it totally acceptable to have these containers on display. Help a couple start their married life off by staying organized – these containers will help make that happen! 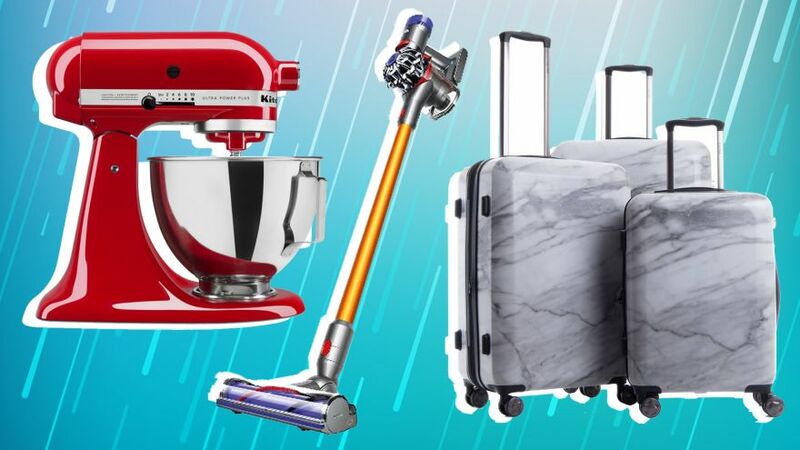 From fun gifts, to more practical ones, there is a little bit of everything on this list, but they are all items that couples are sure to love! Whether you are shopping for a soon to be married couple, or are looking for ideas to place on your own wedding registry, hopefully this list has inspired you! What is your go-to item to give as a wedding present? Let us know- and happy shopping!